The Pyramid Dance Co. Inc., located in Memphis, Tennessee, was founded as a nonprofit organization in 1987. With over 20 years experience in Middle Eastern Dance, we are known for producing professional Dancers and Instructors in Belly Dancing. The company’s purpose is to teach, promote, study, and perform authentic World and Belly Dance. Sadiia and the PDC is committed to furthering belly dance in its various forms (folk, modern, fusion, interpretive) by increasing public awareness, appreciation and education through performances, classes and literature, and by continuing to study all aspects of belly dance and producing meaningful work. 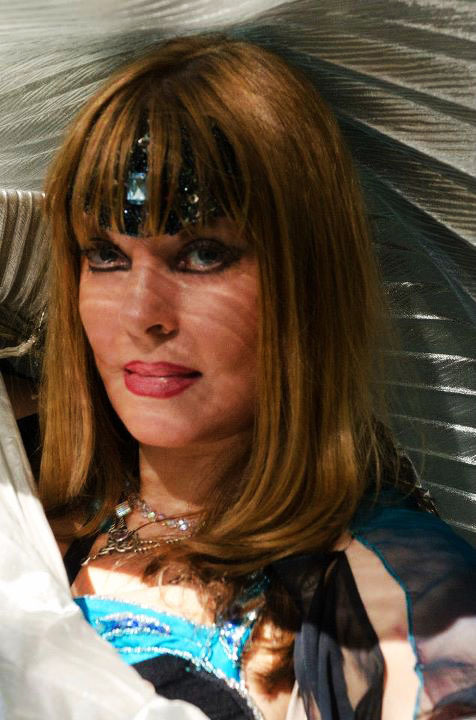 She offers her students a fun, positive, and nurturing atmosphere to explore movement and the proper techniques of belly dance, giving them a strong foundation from which to grow and evolve. She has created a diverse and comprehensive teaching format that stems from the influence of the many teachers of dance and music she has studied with from all over the world. Whether you are interested in workshops, or group or private classes, Sadiia's knowledge of movement and belly dance, along with her eagerness to share her information, will create an unparalleled environment of encouragement and learning of this amazing at form. Sadiia has lived in Morrocco and traveled worldwide to study with a variety of master instructors. She mainly studied with the late Ibrahim Farrah but has also studied with such national and international dancing stars as Shahira; Yousry Sharif; Nourhan Sharif; Mahmoud Reda; Jehan Kemal; Samara; Elena Lentini; Amani of Lebanon; Dahlena; Leila Gamal; Suhaila; Ghazal Rohani; Horacio & Beata Cifuentes; Bozenka; Jillina; Ansuya; Sonia; Amir Thaleb; Virginia; & Aziza. Her repertoire includes Classical Oriental Veil (popularly known as Belly Dance); the Egyptian Cane Dance; the Saudi Dance; Ancient Egyptian Temple Dance; Lebanese Baladi Dance; Turkish Style dance ,Persian Tehrani & Bandari Dances; Contemporary Indian Dance; Flamenco Fusion; Tribal Fusion Dances; DJ Remix; Hawaiian Dance; & Tahitian Dance. Her most notable performances include The Governors School for International Studies (University of Memphis) Arts in the Park; Brooks Museum of Art; St. Jude (ALSAAC); City of Memphis Heritage Festival; Memphis in May; Egyptian Institute of Art & Archeology; Wonders Exhibit; Southern Heritage & Music Festival; National Civil Rights Museum; Memphis Botanical Gardens; Friends for Life; Dixon Galleries & Gardens; Birmingham International Festival; the Memphis Zoo; the Memphis Jewish Community Center; Theater Works; Make-A-Wish Foundation; Buckman Performing Arts Center; University of Memphis Alumni Association; Memphi Krewe; Ptah Krewe; Krewe of Hathor; Women's Expo; Memphis Light, Gas, & Water Multicultural Event; and many others. Please check our events page.